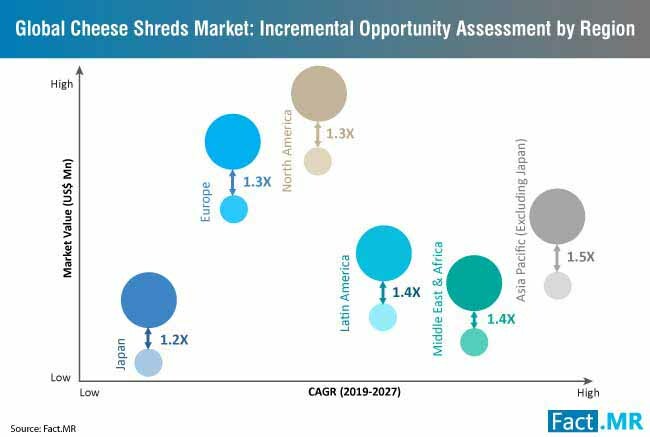 The cheese shreds market is projected to exceed revenues worth US$ 4 billion in 2019. 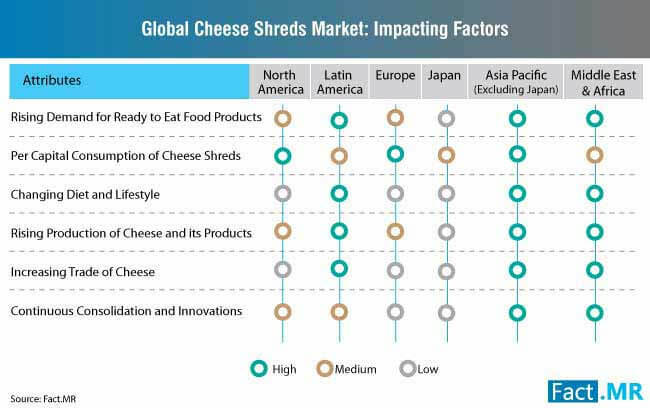 North America is likely to remain the largest market for cheese shreds with revenues projected to surpass US$ 1.6 billion in 2019. Cheese shreds market players in the region are leveraging falling prices of milk in combination with higher stocks, which have reduced cost of various cheese variants. Asia Pacific excluding Japan (APEJ) will retain its position as the fastest-growing market for cheese shreds. Greater China continues to gain significance as an attractive market with surging demand for cheese shreds from bakeries and western style restaurants in the country. For further information about the key insights into the cheese shreds market, request a sample. What are the Factors Driving Demand for Cheese Shreds? Increasing consumption of pizza and ready-to-eat food products has resulted in extensive adoption of cheese shreds, owing to their ease of use as ingredients and toppings in these food products. Additionally, growing preference for shredded cheddar and mozzarella cheese among pizza providers will continue to underpin demand for cheese shreds to a significant extent. Efforts of cheese producers to increase shelf-life of cheese shreds, along with growing adoption of cellulose to impart moisture-phobic property has resulted in high-quality cheese shreds offerings recently. This, coupled with growing adoption of potato starch and micro-crystalline cellulose in cheese shreds for longer shelf-life and flavor retention, will augur well for growth of the cheese shreds market. Growing preference for dairy-free products, combined with increase in lactose intolerant population, is fueling the demand for vegan cheese shreds. Novel vegan cheese is produced by culturing puree or milk from tree nuts with same bacteria used by dairy cheese producers in order to enhance the taste and texture. Cheese processors are increasingly focusing on improving product packaging to maintain freshness of cheese. Stand-up and resealable pouches made using plastic barrier shrink films are finding wide application in cheese shreds packaging to protect the product from moisture while maintaining its natural texture and flavor. Evolving consumer preferences have led to increasing demand for low-fat cheese. This has translated into development of low-fat cheese shreds with focus on retaining their functional properties and flavor. Transglutaminase enzyme has emerged as the only commercial covalent cross-linking enzyme for producing low-fat mozzarella cheese improving physical properties, stretchability and meltability in low-fat cheese. What are the Key Challenges in the Cheese Shreds Market? 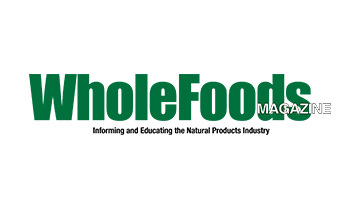 Growing number of product recalls owing to mold growth, and caking defect is one of the biggest challenges faced by the retailers and producers in the cheese shreds market. Mold formation in cheese shreds can lead to the growth of harmful bacteria such as brucella, listeria, e-coli, and salmonella. High-calorie count combined with high fat and sodium content in cheese, which results in various health issues. Meanwhile, various studies have found possibility of bacteria in cheese transferred from cows, which can affect human health. Masters Gallery Foods Inc. plans to build new packaging and distribution facility worth US$ 30 Mn in Oostburg. The new facility will support food service cheese offerings by the company and ensure growth in its private brand retail. Dairy Farmers of America while boosting its Borden cheese range has launched new whole-milk mozzarella string cheese, snack bar flavor available in extra sharp white cheddar and habanero cheddar cheese, and thick cut shreds which are available in Ultimate pizza blend, nacho blend, and mac & cheese blend in the US. Saputo Cheese USA Inc. has introduced new rubbed cheese wedges with four unique flavors including Harissa, Basil Pesto, Black Pepper, and Bourbonista. Granarolo SpA plans to participate in all the major international fairs in the agri-food sector in the Americas, Asia, and Europe. 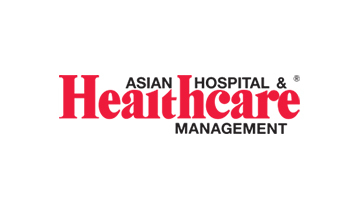 The company will exhibit full range of snacks and brands at various international fairs. 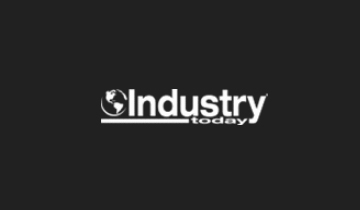 Leading players operating in the cheese shreds market include Daiya Foods, Inc., Hormel Foods Corporation, Borden Cheese (Dairy Farmers of America, Inc.), Sargento Foods Inc., Tillamook, Lisanatti Foods, Inc., Associated Milk Producers, Inc., Winona Foods, Masters Gallery Foods, Inc., Galaxy Nutritional Foods, Inc., Kerrygold USA, Hunter, Walton & Co., Inc., BelGioioso Cheese Inc., Dutch Farms, Inc., Leprino Foods Company, Granarolo S.p.A, Pacific Cheese Co. Inc., Saputo Cheese USA Inc., Offredi The Cheese Ltd., GFA Brands, Inc., and other prominent players. Shredded cheese products often referred to as cooking cheese are finding wide application in HoReCa sector owing to the easy-to-use feature of cheese shreds along with good meltability. Owing to the better taste, softness, and meltability, mozzarella cheese shreds are used on a large scale as a pizza topping and as ingredient in various food products. In recent years, the demand for shredded low-moisture mozzarella cheese has increased as a result of better shelf-life. Moreover, rise in application of anti-caking agent in mozzarella cheese shreds to prevent molds, while increasing its shelf life. This is also resulting in companies operating in HoReCa sector buying mozzarella cheese shreds in large quantities. The report on the cheese shreds market provides in-depth analysis and key insights on the market based on an extensive research methodology. The insights on the cheese shreds market are offered on the basis of the primary and secondary research. Interviews with industry experts on the cheese shreds market formed as the part of primary research methodology. While company annual reports, journals, and press releases were used in the secondary research on cheese shreds market. Information collected through primary and secondary research was used to offer details on the growth and challenges in the cheese shreds market. 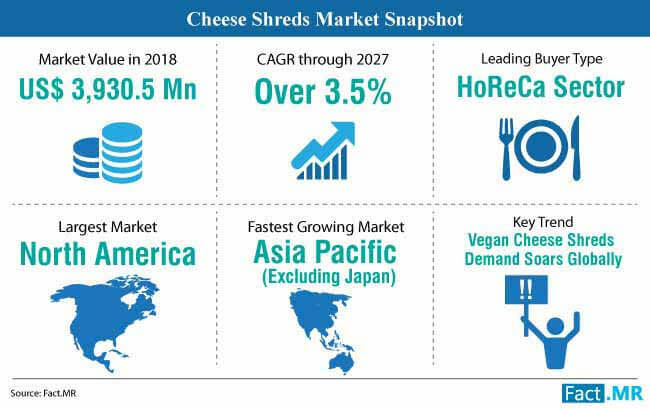 The research methodology also helped in eliminating misleading information on the cheese shreds market and providing correct and accurate information and data on the cheese shreds market. 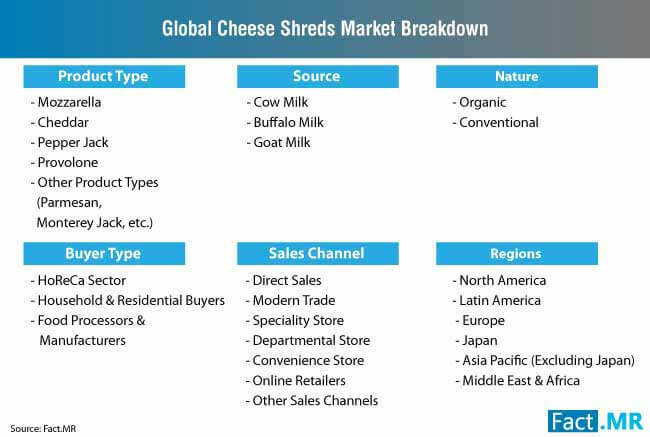 The market report on the cheese shreds market serves as the exclusive dataset for cheese shreds market players and readers to plan new business strategies and product developments in order to compete in the cheese shreds market at a global level. 4.1. What kind of Organic Products are Shopper Buying? 14.5. Associated Milk Producers, Inc.
14.8. Galaxy Nutritional Foods, Inc.
14.11. Masters Gallery Foods, Inc.
14.13. Hunter, Walton & Co., Inc.
14.16. Saputo Cheese USA Inc.
14.19. Offredi The Cheese Ltd.
14.20. Pacific Cheese Co. Inc.